It is said that for search engines that crawl the web, links act as streets between the pages. With the use of quality backlinks and effective link building techniques the engines can discover how pages are related to each other and in what ways. In addition to that, back links help search engines in analyzing popularity of a website and popularity of pages that links to it. Similarly it also enables search engines to analyze the metrics such as trust, spam and authority. Hence the goal is to build links of optimum quality, using the most future proof tactics available. Here are some link building strategies to help us optimize the process. The key reasons why content marketing style link building is so powerful is that any piece of content can deem a number of goals. A single blog post can provide a number of benefits to a marketing funnel, from building quality backlinks to generating leads through social shares and more. A link building strategy should highlight on how every piece of content will work to build up your site popularity and optimization via valuable links. This refers to the process of drafting an article that will be published on another person or company’s website. The benefit of this technique is that it gives you access to a new audience and secure at least one quality backlink pointing to your website. 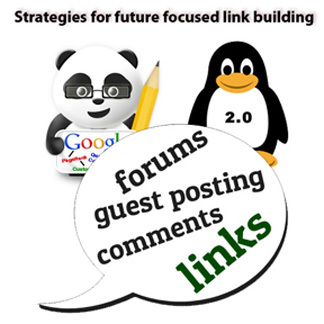 Guest posting is all about the relationship you build with another site and its audience. In order to make best use of this link building strategy make sure you give your very best content and to a worthy and well known blog. Viral content is a link building strategy that involves publishing highly valuable, highly shareable content on your website and then seeding your links on popular social networks such as Facebook, Google Plus, etc. The idea here is to create remarkable content that people want to share with others and thus without your direct involvement natural links are shared among users.